I was raised in an Irish-Catholic New Deal family, was an undergraduate member of SDS in the 60s and am the least likely fan of your new book; I like adventure. And I am in the middle of reading your excellent book. Imagine my surprise as I was wading through chapter 2 on the fundamentalist psyche and realized it was the best damn description of Christian, Jewish and Muslim fundamentalisms I have ever encountered. I appreciate your clarity, honesty and dedication to humane values. I have been searching for a wide ranging but common sense grounded analysis of what makes fundamentalism tick. You have taken that clock apart and put it back together. 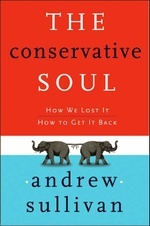 While I will mostly likely never agree with conservative politics ( I was, for more than 20 years, a legal services attorney ), you have restored my basic faith in the generic decency of most people, regardless of their political allegiance and shaken my view of conservatives as irredeemable right wing reactionaries.